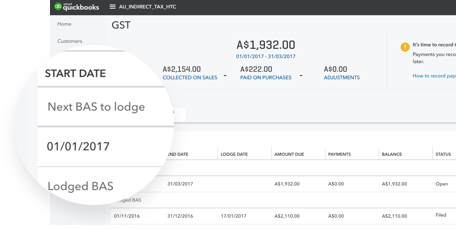 You can manage your GST obligations to the ATO in QuickBooks Online if your small business is registered for GST. Your Accountant or Bookkeeper can help you register. 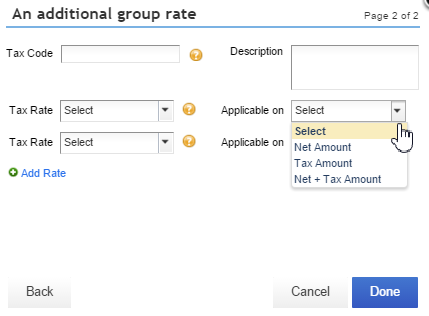 As a default GST is not setup so you will need to switch this on. If you are not registered for GST you do not have to set this up. 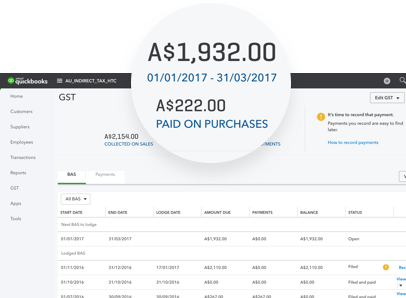 This makes entering your transactions easier as your sales and purchase forms will be GST code free. We will take a look at the default GST codes that are generated in the system once GST is set up. 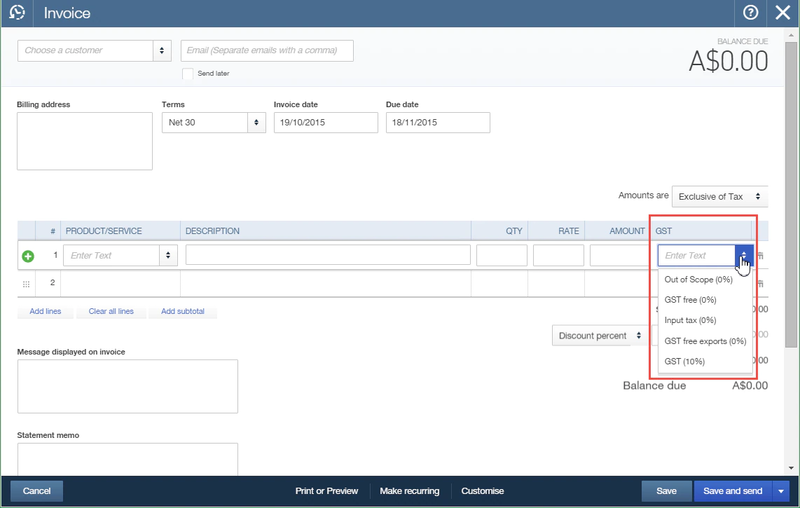 In QuickBooks Online the sales and purchases forms have separate codes. Make sure that the GST is setup prior to any transactions being entered. 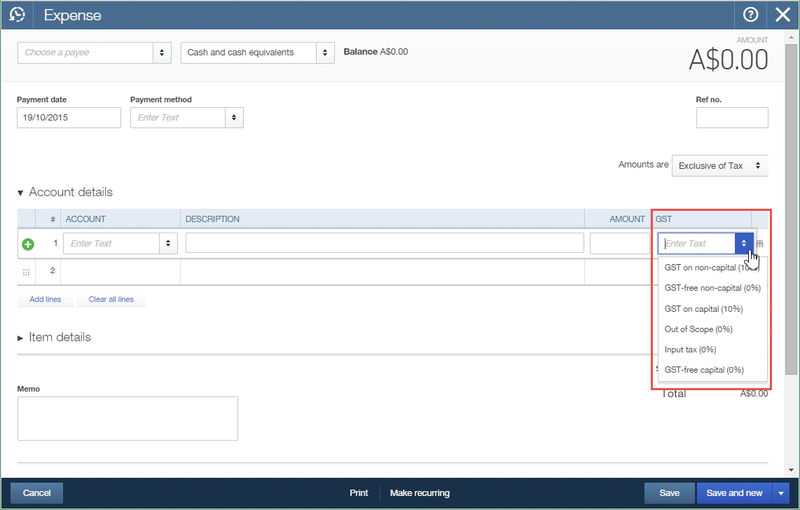 Left hand side navigation bar GST > Click Set up GST. 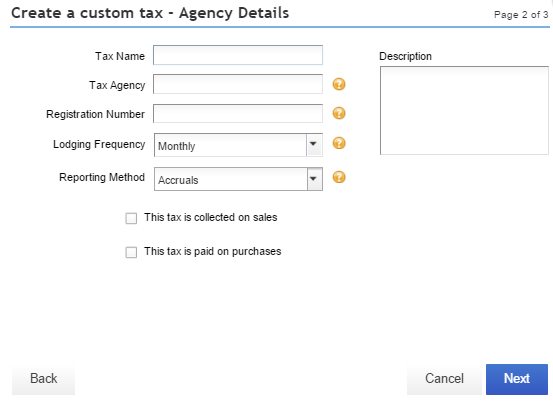 Click Rates & settings and the default tax codes are automatically generated. See the GST codes below. 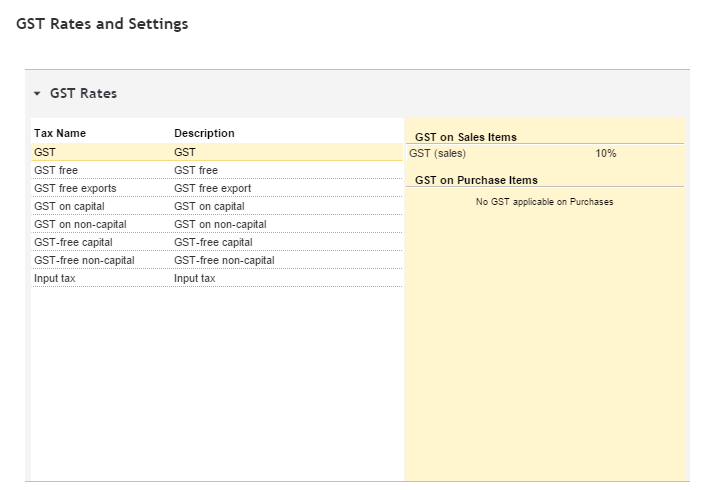 The GST codes are to be used for either sales or purchases, and are separated as shown. GST codes that are not system generated can be set up in the GST Centre. 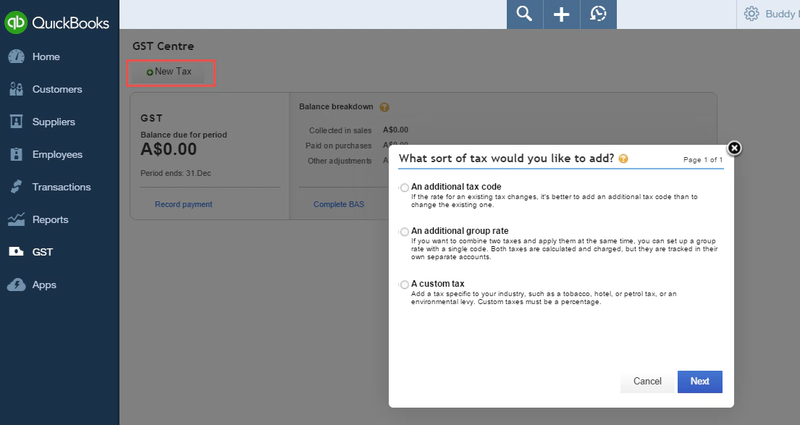 Left hand side navigation bar GST > Click New Tax.